On Friday I came home to a very exciting parcel: my first ever Wildest Dreams Book Box! A few months back, I was very luckily (and gratefully) chosen to be a rep for Wildest Dreams and so Zoe, the lovely creator of the box, very kindly sent this out to me. I was obviously beyond happy when I was chosen to rep for this new subscription box, especially as I had been planning on buying the boxes myself. So, what exactly is the Wildest Dreams Book Box? It’s a monthly YA subscription box packed with a new YA release, tea and other goodies relating to a particular theme for less than £20! For January, the theme was “Into the Jungle”. I’d heard great things about the first box, so I couldn’t wait to open this one. I filmed a full unboxing over on my Instagram stories which I’ve saved as a highlight if you fancy a more detailed look. Keep reading to see what was inside this month’s box. One of the best things when opening a bookish subscription box is when the book included is one that A – you haven’t read yet and B – one that you don’t already own a copy of, and Wildest Dreams got this spot on. 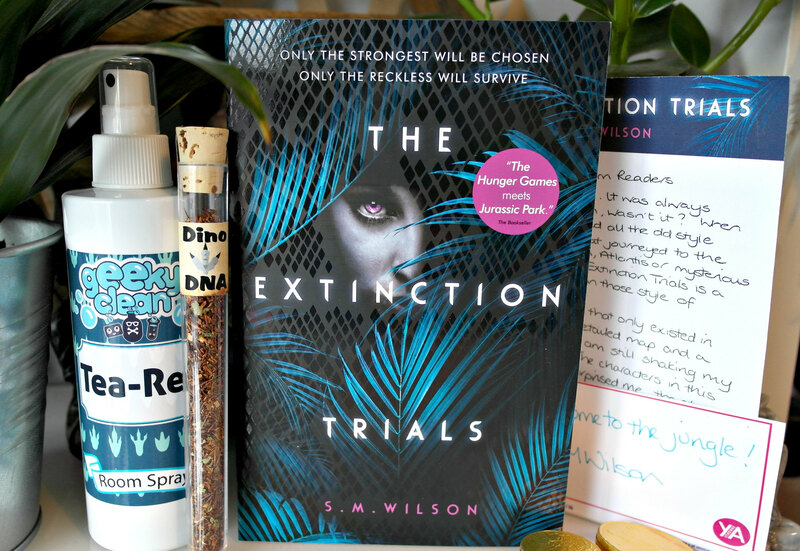 I’ve heard a lot about The Extinction Trials by S.M. Wilson so I was beyond happy with this month’s pick and I can’t wait to read it! Just check out this blurb and tell me it doesn’t sound amazing? I mean, it’s likened to both The Hunger Games and Jurassic Park! 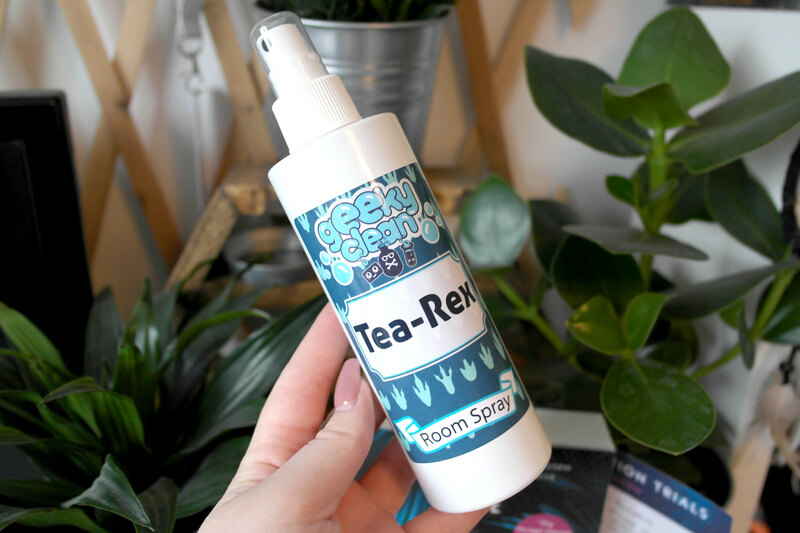 Next up is this Tea-Rex room spray by Geeky Clean. I don’t really use room sprays, pretty much down to the fact that I’ve never really thought about buying one! However, I didn’t know I needed this. It has such a refreshing, non intrusive and calming scent of green tea and I think it would appeal to a lot of people – I can’t wait to start using it! 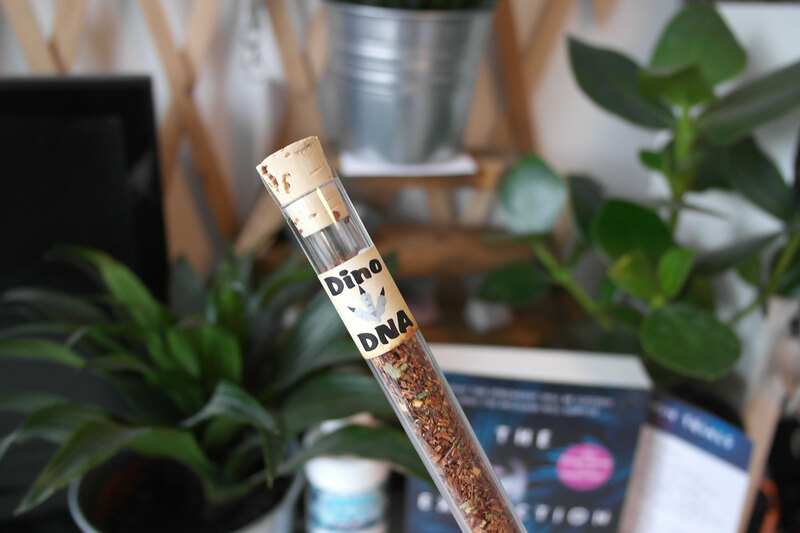 This month’s tea related product came in the form of Dino DNA tea leaves by the Rosie Lea Tea Company. I usually only drink standard tea made with tea bags, but after seeing that this is salted caramel flavoured, I might just become a tea leaf convert! Zoe even included empty tea bags to make brewing this even easier so I’ll definitely be putting these to good use soon. So now I’ve spoken about the products, let’s move on to some other positives about the box. The book was packaged so carefully, I was actually jealous of Zoe’s wrapping skills! I also really appreciated that the room spray was wrapped tightly in plastic which meant that if there were any accidental spillages, the contents of the box wouldn’t be damaged. It’s clear to see how much effort has been put in by Zoe and I’m so happy with my first Wildest Dreams Book Box. We were even treated to a letter from author, a signed bookplate, a discount code for Taken Moons candle company and some chocolate coins. With the box being inexpensive compared to its competitors, and your purchases supporting small businesses, there are plenty of reasons why you should get your hands on a Wildest Dreams Book Box. If you’ve been uhming and ahhing, you should totally give it a try! Keep an eye out for my rep discount code which I’ll be sharing in the next couple of weeks!